CAN “GIRLS” WRITE INTERNATIONAL THRILLERS? I'm sure that all of us have been to a movie theater or watched a film on TV and seen a credit line at the opening saying "Based on the Novel by ____" Several well known authors have seen their books turned into blockbusters. For example, Rogue friend, Lee Child's agent sold his book One Shot, featuring 6'5" hero, Jack Reacher -- a burly military-detective type -- to a film company who promptly cast 5'7" Tom Cruise in the leading roll. I remember several of us giving Lee a bit of a hard time at the conference when we heard about what we called a "miss-casting," but Lee, ever the diplomat, simply grinned and said, "Tom Cruise is a good businessman, actor, and director." Many of us authors say we would give anything (well almost anything) to have one of our stories optioned for a major feature film. However, the chances appear to be "slim to none" when you look at the numbers. At our annual conference of International Thriller Writers, I heard that of all the novels where the author IS given a bit of change for an option on one of his books -- about 97% of them never see the screen because they don't get the financial backing, the right stars, the producer or director. And IF a producer turns out to be interested in your story, is he attracted to it because it is already a bestseller, or is it the other way around? In Lee's case, he was an internationally acclaimed bestselling author when that first Jack Reacher film was made. he was paid just $5,000 and the book had very meager sales. 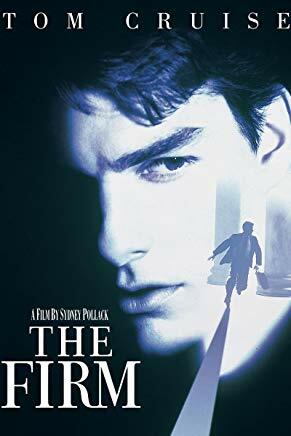 Undeterred, he sat down and wrote his second novel, the Firm, and before it had many print sales at all, his agent was able to sell it to Paramount (in 1991) for the princely sum of $600,000! After the film debuted, Grisham became a bestselling author who now has some 300 million books in print and have been translated into 40 languages. The irony is that Tom Cruise also starred in that one. Later another Grisham tale, The Pelican Brief was turned into a popular movie -- I've seen them all and have enjoyed them all (though I have to admit that I often find that I liked the printed versions better than the Hollywood adaptations). 1. 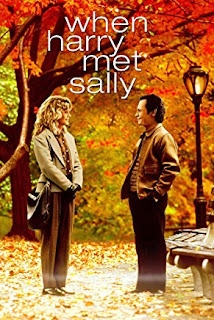 MOMENTS - While a novel includes descriptions of heroes, heroines, settings and plots -- a movie is a collection of great moments. He asked us to think of moments in films that made impressions on us. Several mentioned scary scenes in Alfred Hitchcock films - but on a lighter note, several hands went up to suggest the scene in When Harry Met Sally where the elderly woman in the restaurant glances over at Sally ordering her lunch (and faking a romantic encounter). She says to the waitress, "I'll have what she's having." Yep - even though it came out way back in 1989 we all remember that one! (Turns out that older woman was the mother of the director who recruited her for that one line). So, in your novel, try to create memoriable moments, not just descriptions and dialogue! 2. CARING AND WANTING -- the author needs to make the reader truly care about the characters, share their excitement, their failures, their redeeming features (at the end) as well as showing them wanting things. In a thriller the villain wants something entirely different from what the hero wants, of course. In a "lighter-hearted" story, often it's the hero and heroine who want entirely different things. We see this clash/challenge in any number of books that have been turned into Hallmark movies. 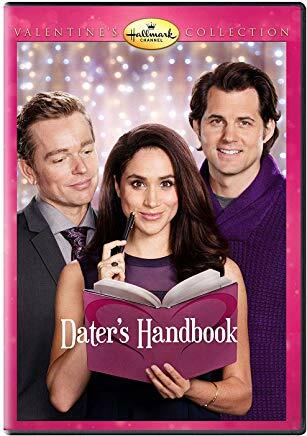 A good example is Dater's Handbook by Cara Lockwood which was made into a feature film starring none other than Meghan Markle -- the current Duchess of Sussex. 3. SENSORY DETAILS -- The speaker emphasized that once you have written the draft of your book, go back and add impressions of sight, sound, touch, smell, and especially feel. All of these senses can be conveyed in clever ways in a feature film. You just need to figure out how to describe them so a director can do his job. 4. CAMERA ANGLES -- Imagine the shots a director would take in your story, first using a wide angled lens, referred to as an "establishing shot." You know how you'll first see the outside of the building or a helicopter shot of the small town before a medium shot showing an inside location with several people walking and talking together. Be mindful of these settings as you write your chapters and also think about how the close-up is where intimacy is portrayed -- whether between lovers or enemies. 5. UNEXPECTED TWISTS -- Yes, we often expect an unusual twist toward the end of any story which throws off the investigator in a mystery or drives a wedge between a man and woman in a romantic comedy. We were told to spend a good deal of time crafting a good twist that the reader or viewer never saw coming. Go for it. After taking notes and listening to the workshop discussion, I was thinking that while I am already working on thriller #6, it might be fun to perhaps take a temporary "detour" in the writing schedule and put a pitch together for a Hallmark book-to-movie idea. Hallmark receives hundreds and hundreds of submissions. Then again, they have such a successful franchise, they produce some 200 movies a year. So who knows? In any event, I'll try to keep those five points in mind, and I'll also keep you posted. Now thanks for stopping by our Rogue website -- and do leave a comment here (or on our Facebook page) about "moments" in movies that were so compelling that you remembered them for years on end. Thanks so much!! I, too, have been experimenting with writing screenplays and hoping for some big screen windfall. These points will definitely help me with that. What terrific points, Karna. And it sure does seem to me that they're equally important in a good book. Thanks for filling us in on such an interesting - and useful! - meeting. I've always thought about it. One never knows...!!! Karna, I bought FINAL DRAFT, a software for writing screenplays, after binge watching Hallmark Christmas movies this year. I had (have) an idea for one that I keep thinking about working on. Unfortunately, it falls down on the "must work on" list right now. Let me know, if you do it, how it goes! Me, too, Chris! Not sure when or if I'll ever get to it! But I also bought Final Draft for it!! !